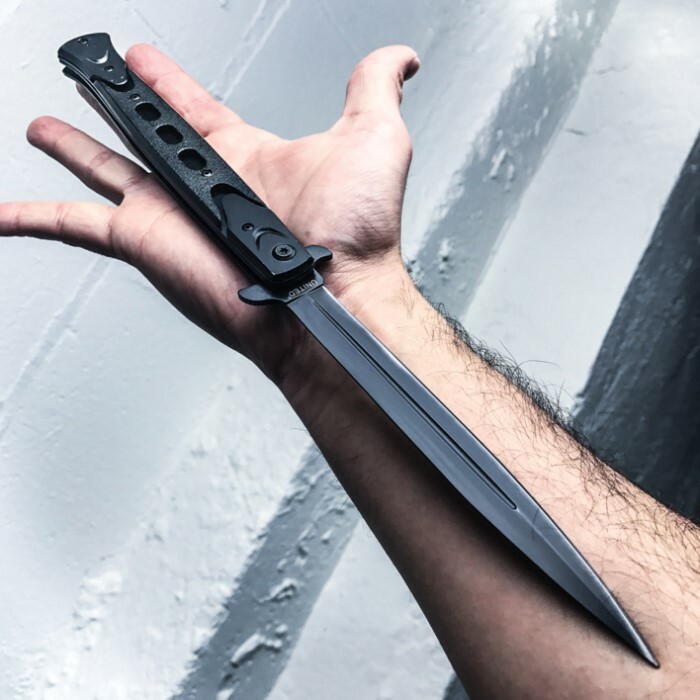 United Cutlery Rampage Black Assisted Opening Stiletto | BUDK.com - Knives & Swords At The Lowest Prices! 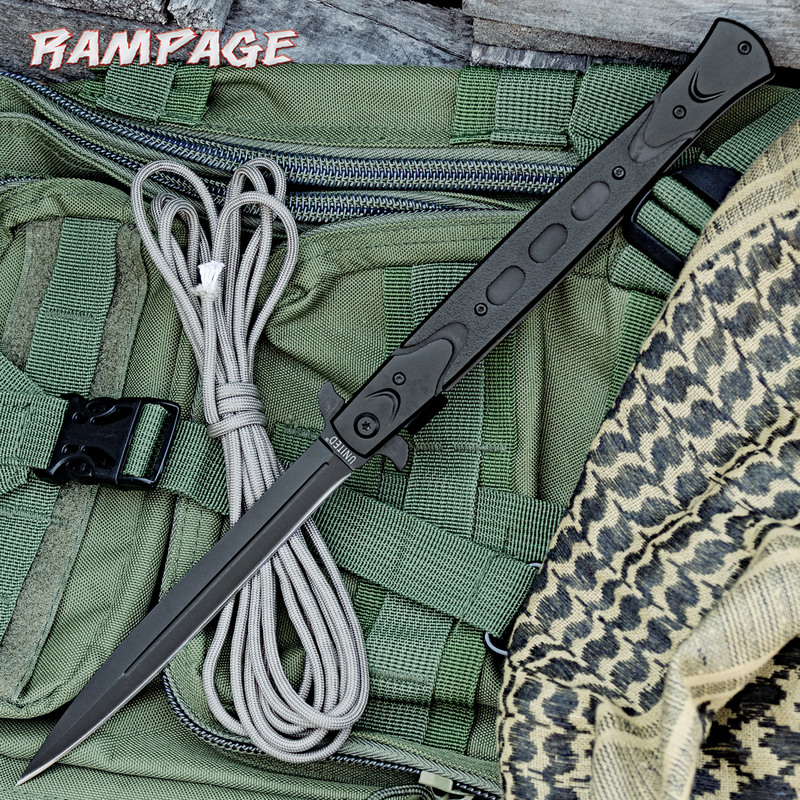 The Rampage Black Assisted-Open stiletto from United Cutlery opens with the speed of a high-end knife with an assisted-open mechanism that gives you lightning-fast access to the blade. The knife has a 6" razor-sharp stainless steel blade and it also features a thumb stud for one-handed opening. A stainless steel pocket clip lets you carry it with ease. Heavier than expected but seams well made, tight and with all the screws. Carries well in the front pocket clipped to the outside corner. Possibly more noticeable in the summer with lighter pants. Opens quickly and locks well when also given a flick of the wrist. I hope the bad guy turns and runs when he sees what just might be a sword pointing at him. Very sleek stiletto. Clip seems to b on the wrong side. Nice knife tho. Opens well n fast. Mine was missing a screw. I think some one else also wrote about theirs missing one too. Over all good knife, just need better quality control. This thing is awesome but holy moly it's HUGE! The handle alone is the length of an unused pencil. Still I love it. Pros: Awesomely huge. Rather sharp. Well made. Slow but effective spring assist. Intimidating! Cons: Not made for heavy use or combat. $10 for a letter opener/conversation piece, no complaints here. I have bought 2 so far. The first was great.....until I lost it. The 2nd was stiff and was missing a screw. The smaller version is very good but had a screw that was too long and interfered with the opening of the blade. Quality control issues. I have read the other reviews and on the knife I got the Lock works perfect. The ease of opening is this knife is a plus, but beware and be careful. Construction is great and like I said "It's worth the money. Now this knife is deadly, beautiful and yes does open quick! BUT there is one really big problem i have and that iv noticed others have as well,the liner lock on this thing barley works...i lightly stabed this blade into some soft grass and the lock failed. even when opening it sometimes the lock just fails and folds into itself. 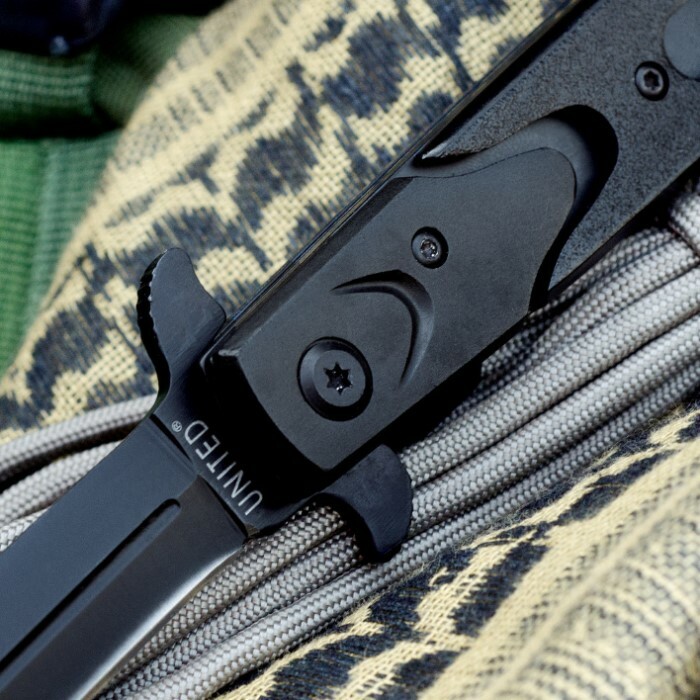 So that being said this knife is cool as all hell but i would not use it as a everyday carry because i would be willing to bet money as soon as you had to "use" this on an attacker,after the first stab the blade lock would fail.other than that i would recomend you buy this because the price is great and it looks just plain badass.